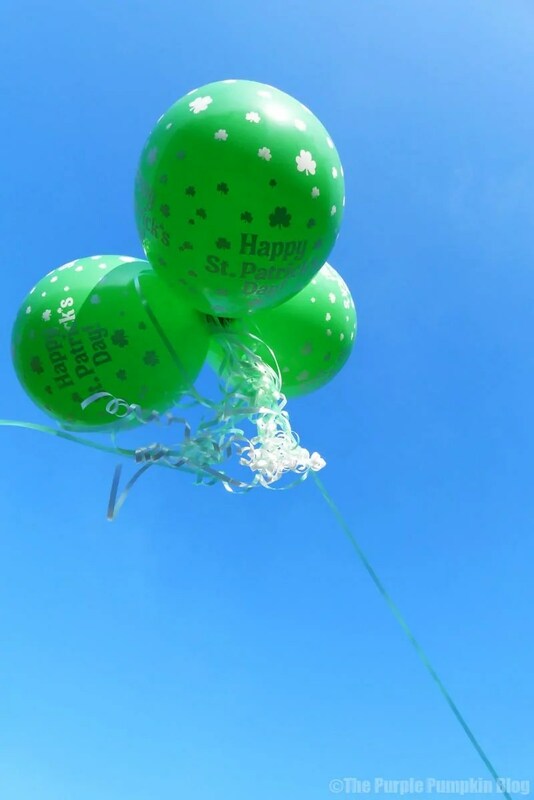 With St. Patrick’s Day right around the corner, it is time for me to share my 3rd balloon decoration that I’ve created as a Balloon Time Celebration Club Ambassador! 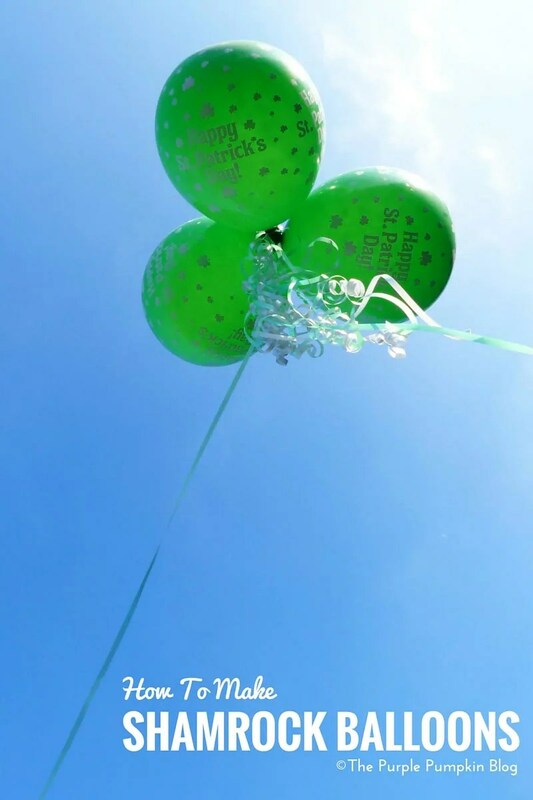 Although we are not an Irish family, we do enjoy a little celebration, with a swift half of Guiness, some Irish food, and a few decorations to brighten up the place. As a young girl, I used to do Irish Dancing in school, I even won a few medals for my skills at dancing competitions called Feis. Will have to dig those out and show you some time! I loved Irish dancing, and part of me wishes I hadn’t given it up all those years ago. My teacher was a man called Michael Maguire, and I still remember to this day, the hand signals and words he used to call out, as we reeled and jigged around the school hall. He and his wife (and his whole family really) are very well known in the Irish Dancing world, and I didn’t realise it then, but I was taught by one of the best in the biz. The point of this story is going back to those Feis, and the girls who wore the proper Irish dancing dresses (which are gorgeous by the way, but so expensive), and had their hair done up in tight curly ringlets. 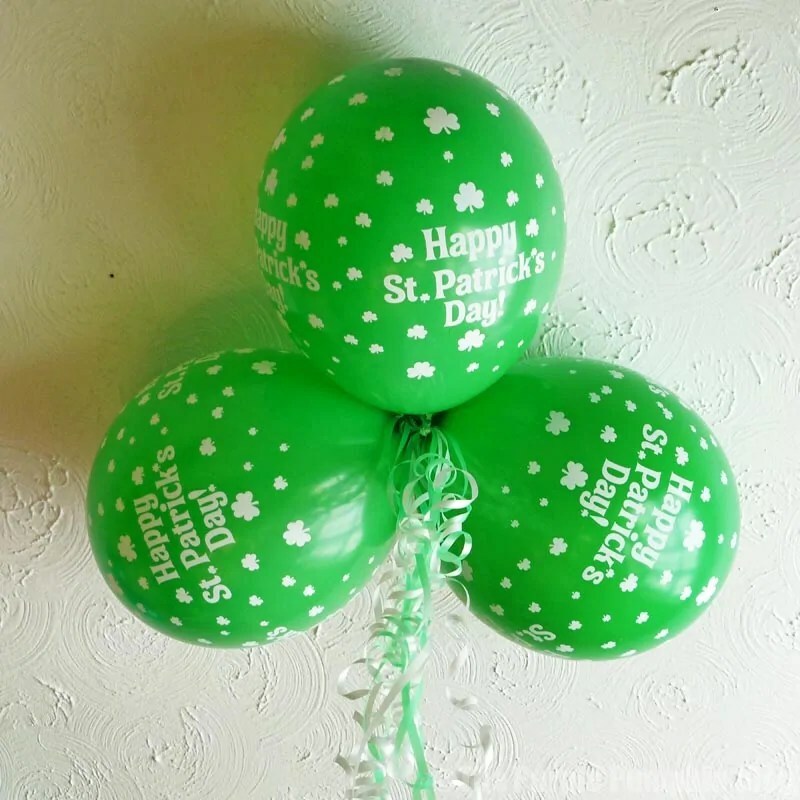 Those curls really reminded me of the ribbon curls I often use in balloon decorations, and so, naturally, I used LOADS of them in these shamrock balloons! 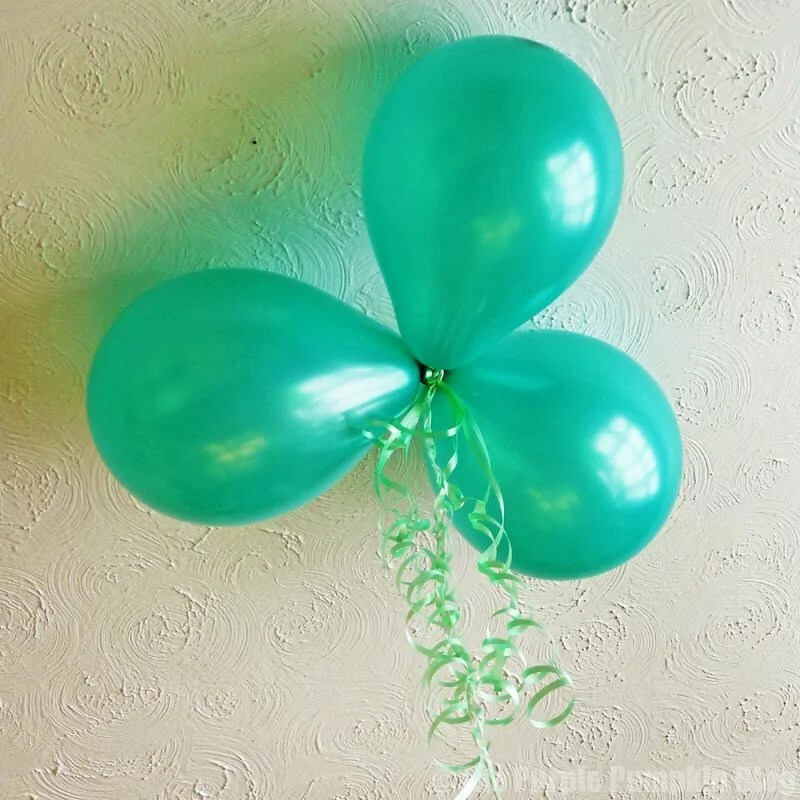 In another post, I’ll be sharing another balloon tutorial using air filled balloons. 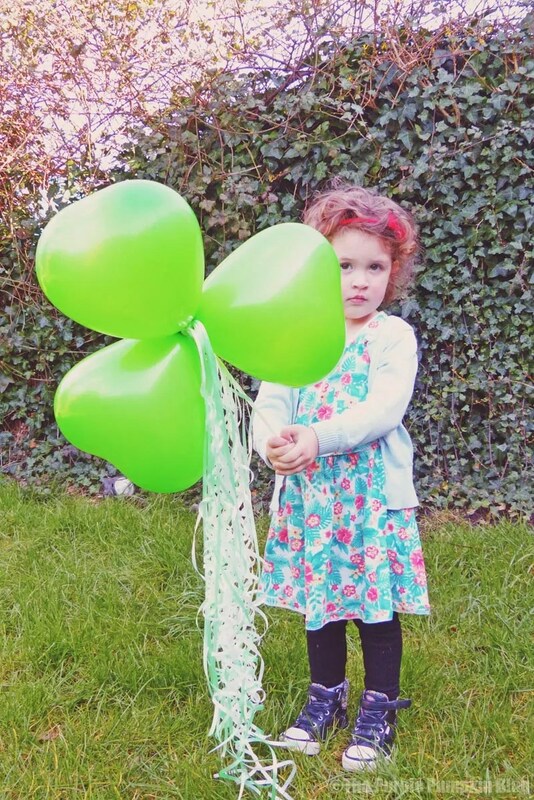 The shamrock balloon wand that I made is great for younger children, as it doesn’t float away if they let go! 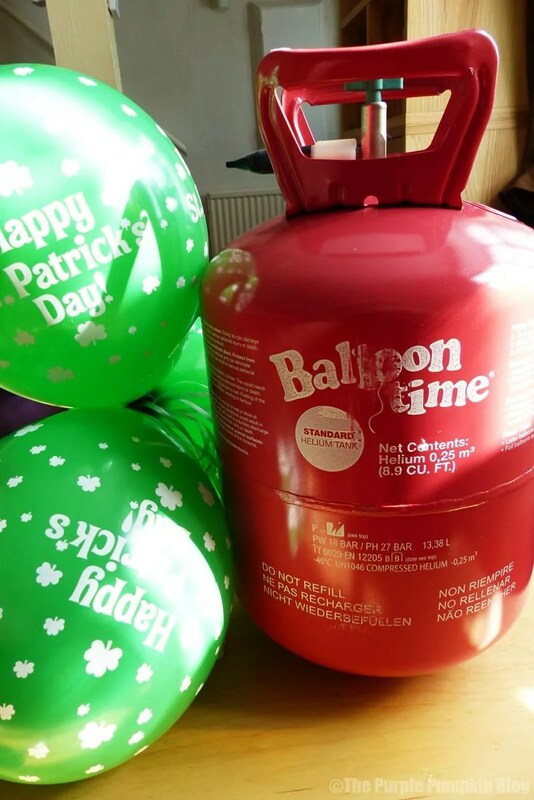 You can pick up a Balloon Time helium tank in Tesco or ASDA, as well as online. The standard helium kit comes with a pack of 30 colourful (9″) balloons, ribbon, and of course the tank, which can fill up to 30, 9″ latex balloons, 16, 11″ latex balloons, or 16, 11″ foil/Mylar balloons. The tank is recyclable, so just take it down to your local recycling centre when it’s empty. Please feel free to share this post by using the social buttons at the end of this post, and don’t forget that you can subscribe to The Purple Pumpkin Blog by email, on Feedly or on Bloglovin’ so you don’t miss out! Please also read my disclosure policy regarding this collaborative work with Balloon Time.